The Food and Drugs Authority (FDA) through its market surveillance activities has identified some uncertified and unregistered skin bleaching" products on the Ghanaian market. Subsequently, the Authority has commenced investigation to determine how they got into the country for the necessary action to be taken. Mr Emmanuel Nkrumah, Head of Cosmetics and Household Chemical Substance Department of the Authority who disclosed this cautioned the public against the use of such uncertified products saying, the FDA could not guarantee their safety portfolio and quality. Speaking at media engagement in Cape Coast on Friday, Mr Nkrumah said though some skin "bleaching" products had been approved by the Authority, they could be banned if data suggested that they had health consequences. He expressed concern about the indiscriminate use of different cosmetic products mixed together and the desire of people to get a lighter skin faster. He said the Authority was equally worried about the development where people resorted to the use of 'glutathione pills', a supposedly bleaching pill that is taken orally to lighten the colour of their unborn children. Mr Nkrumah explained that glutathione was an antioxidant capable of preventing damage to important cells in the body while boosting the immune system, debunking the claim that it could tone the skin. He warned that long-term suppression of melanin through the use of prohibited cosmetics and drugs could cause liver and kidney problems, skin cancer and skin thinning. Mr Nkrumah said the Authority was constantly on the look out to clamp down on such illegal cosmetics adding that, the FDA existed to protect public health and safety. Mr James Lartey, Head of Communications at the FDA said the Authority was enforcing the restricted time of advertisement of alcoholic beverages on radio and Television stations, which was from 0600 hours to 2000 hours to prevent excessive exposure of the products to children. He said alcohol was one of the widely abused substances among the youth all over the World,but underage excessive drinking posed enormous public health and safety risks on the nation's health care system and therefore must be prevented. According to him, the initiative was a good public intervention that ought to be supported. 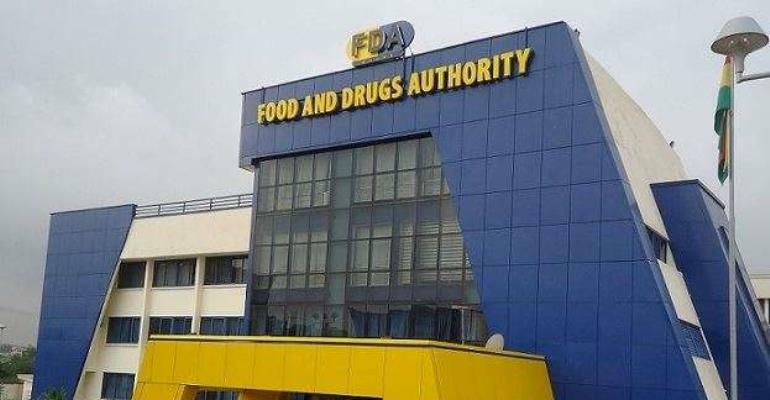 Mr Lartey said the FDA would continue to monitor the various radio and TV stations to ensure that the Authority's guidelines for advertisement on foods were complied with, while ensuring that against those who flouted them were dealt with. Mr John Odai-Tettey, Regional Manager of the FDA said the Authority would continue to intensify its public education and map out strategies to counter emerging challenges in the best interest of the general public.